North Trenholm Baptist Church sought to provide a new multi-purpose facility to support and encourage the ongoing growth of its youth programs. Through extensive programming and design charettes with the building committee, a functional and exciting design emerged. The project is sited adjacent to the Church’s existing gymnasium, creating brick paved exterior plazas between the two buildings. The new building design focuses on providing much needed meeting and classroom space, while creating exciting and fun space for the youth. A first-floor auditorium includes state-of-the-art video and sound technologies and will be sub-dividable into younger youth classrooms. 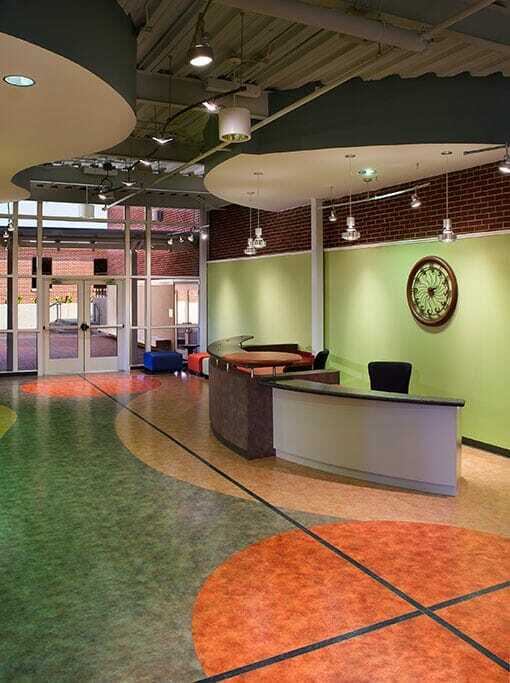 The second floor accommodates older youth programs as well as a second-floor café overlooking the brick plazas below.